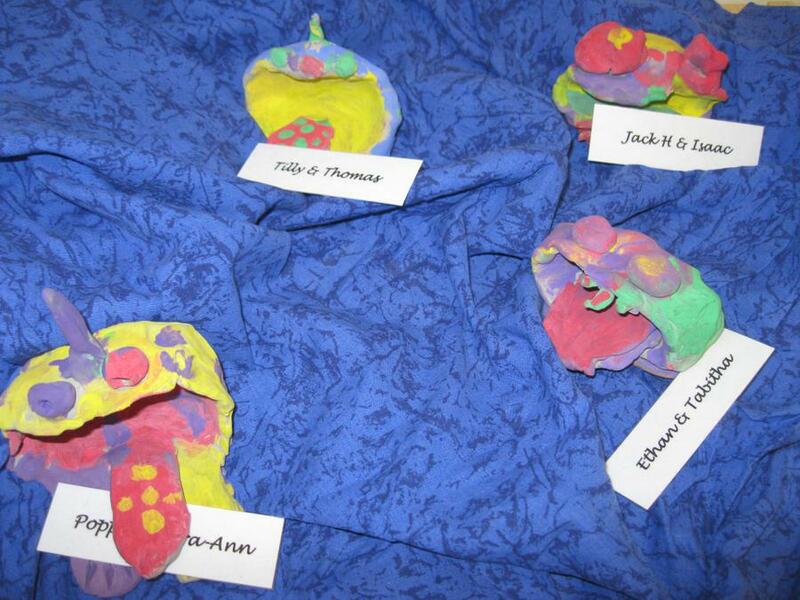 During the first week of the Autumn Term, the whole school took part in the 'Take One Picture' event, linked to the National Gallery. The picture we looked at was 'Penelope with the Suitors' by Pintoricchio. 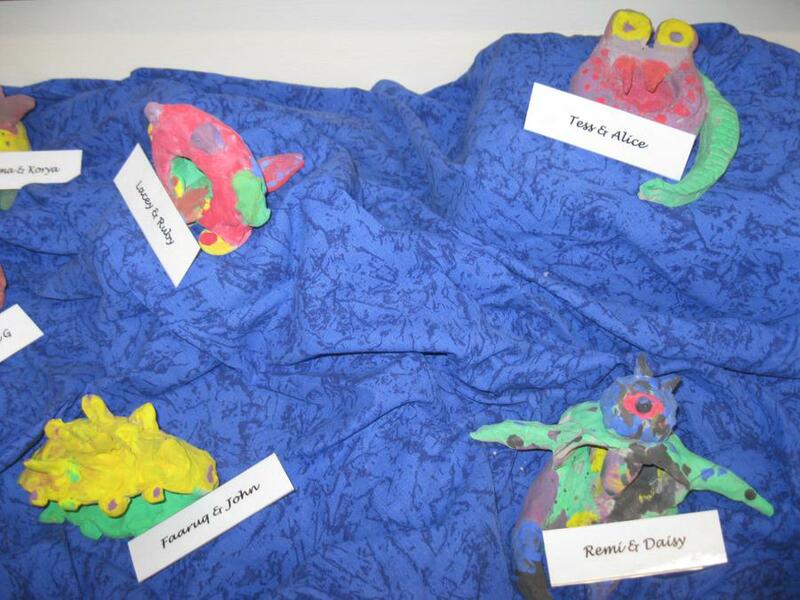 In Class Three, we decided to focus on the sea scene in the background and the mythical creatures living there. 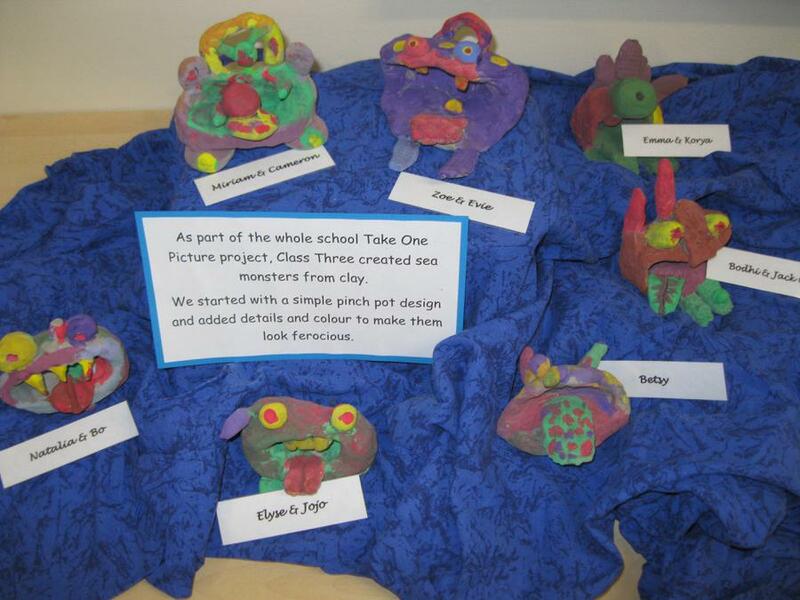 We created our own sea monsters out of clay using a simple pinch pot design which we adapted and added to.